Most of us in Sales began our career with the Yellow Pages in hand. Sales training consisted of two words – start dialing. Call your family, then friends, and work your way down to those you didn’t know at all.. COLD! 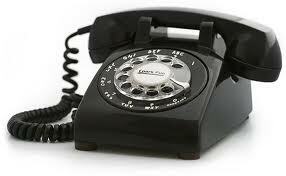 You started with the “A”‘s and worked down to “Z” dialing the phone 150 – 175 times a day. If you were lucky you spoke with a handful of potential buyers and perhaps made 1 sale. Your success depending solely on a rapid fire approach. Dialing as fast as you could, ending the calls that didn’t present an immediate opportunity and on to the next call. No strategy. No connection. No value. Gamesmanship versus Education. Not more than 10 years ago a sales persons goal was to outplay or outmaneuver the prospect. This is not to say that salespeople were bad people. They did their jobs with the tools at their disposal and the direction given to them by their managers all of whom were trained the same way and advanced in their careers accordingly. Given the scarcity of information buyers were completely reliant upon the salesperson. While best case scenarios involved a sales person simply being viewed as pushy, worst case extremes included those sales people who mislead, misinformed, and misguided their prospects into making a poor purchasing decision. Thankfully today there is an abundance of information available starting with the Web and including education content made available directly from companies selling their goods and services. Push versus Pull communication. Remember direct mail with all those post cards that companies sent out through the U.S. Postal Service? Or the letters that were sent out offering 3, 6, or 12 months free. Urgency words and phrases like “For the first 100 callers”, or “in the next 90 days”, or how about “while supplies last”? Sellers created a sense of urgency for the buyer that if they didn’t act quickly they would lose out on this incredible deal. By stating the offer was only available to the first 100 callers, sellers attempted to manipulate prospective buyers into believing that there were swarms of ready-buyers who were crashing the gates to gobble up all product being offered for sale and soon there would be no more. After all, we all need at least one if not two “gophers“. Discounts versus Value. Imagine Mercedes-Benz, ExxonMobil, Apple, or Goldman Sachs giving their work away at a heavy discount or even for free. Premium brands only become premium by protecting their brand value. Any offers that include give-a-ways do nothing more than diminish the value of your brand. Think for a moment about your sales experience with a premium brand company. You’re almost shaking with excitement to hand over your money just to say you own what they sell. Remember your first iPod, iPad or Macbook? You never complained that there were no discounts. And what about the UGGs you bought? Premium companies stand by the value of their brand, selling it for the price they believe is justified to not only make a profit but to also protect their brand’s value. Respecting your prospect, your buyer, and your current customer is paramount to your continued growth and success in selling. Taking the time to educate your prospective buyer through high-value communication will help position you as more than just a sales person. The sales professional able to do this most effectively will be the one that the buyer can’t live without. They will become an indispensable resource to the buyer and will become the go-to person for all their needs. 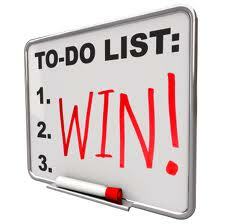 Said simply, the one who delivers the most value wins today, tomorrow, and the next. We’ve all done it. Looked back and said, “Gosh I wish I hadn’t done that.” Decisions we made, things we did or didn’t do that led to an unfortunate, uncomfortable, or disappointing experience. 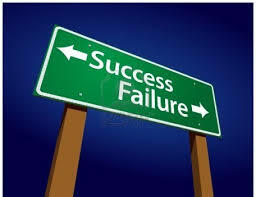 Many times our failures can be tracked back to a decision we made, failed to make, or even made too hastily. Likewise, success can be viewed in the same way. But if you stop to look at the critical moments of your life, or your crucible moments as they’re often called, you may find a new tool in your bag worth using. Regret. Oddly enough “woulda, coulda, shoulda” could play a key role in helping to improve your decision-making. How so? Let’s imagine I have an important decision to make. Could be personal, could be professional, it really doesn’t matter which. I start by looking at the information I have in hand. What do I know, what don’t I know? What feelings or emotions strike me as I think through the different paths I could take in making this decision? Perhaps I take the step to do a typical Pros and Cons sheet. I write down all the positive things that could happen if I make Decision “A” along with the negative. I do the same for Decision “B”. I tally up all the pros from each chart and the one with the most is typically the path I take. These are all fairly standard techniques in decision-making. Now let’s add Regret. Imagine 6 months have passed and you’re not in the place you had hoped you’d be. Something went wrong along the way and things just didn’t turn out as you expected. You’re unhappy, miserable, and regretting things. 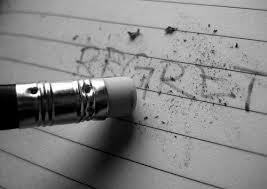 Now come back to the present and ask yourself, what would I have done different to change that regretful outcome? Maybe 6 months from now that diet didn’t work and I actually gained weight. I may have regretted not working out 6 days a week, or eating that bag of potato chips every night. Six months from now I may have failed my Chemistry class. I may have regretted not studying enough, or asking for extra help from my professor. Or maybe 6 months from now I’ve missed my sales goal again. I may regret not making those extra calls each day when I quit at 5 pm. I might regret not going to a networking event because it dug into my personal time. Regardless of whether you have a personal or professional regret, using the positive power of regret may just help you make a different decision in the present that results in a better outcome in the future. Regret can be a powerful tool when combined with visualization. Visualize yourself in that unhappy moment, the failure you may feel, the disappointment that weighs on you. Now take those feelings and ask what would I have done differently? Regret often times gives you a second chance if you embrace it properly. Years ago I read the book Failing Forward by John Maxwell and it had a profound impact on my life. I grew up in an ultra competitive home where me and my sisters were raised to believe that failure was not an option. As I entered the workforce and began my career I carried this belief with me only to learn, in short order, that failures can happen regardless of the actions taken. From bad bosses (you know who you were), to poorly run companies (you know who you were as well) to jobs I simply didn’t like, failure began to approach my doorstep uninvited. I worked hard, pressed forward, acted with persistence and determination and still experienced my share of failures. I’ve missed sales numbers, hired the wrong people, and had sales and marketing campaigns fall flat. Yup, I’ve seen my share of failures. Sometime after turning 40 I began to view things differently. For the first time I was able to look back at my failures not as failures but as critical learning events that took place at a moment in time. I’ve been battle tested, failed at times, yet have come out stronger each and every time. We learn when we fail. In fact I’d argue the quality of education we get from failure is vastly better than the education we get from success. Success is simply the culmination of multiple failures. If at first you don’t succeed, try, try again. The greatest inventions ever were the result of countless failures. Many of the world’s most deadly diseases were cured only after countless failures while looking for a cure. Thomas Edison once said he it took more than 10,000 tries to invent the light bulb. What if he gave up at 9,000? I’d hate to think I’d be writing this in the dark. Decision making. Making decisions is a tough business. It requires speed, thoughtfulness, intuition, and experience. Experience comes through both failure and success. The more you have of both the better decisions you will make. Mental health. The sooner you embrace failures as your friend and not your enemy the quicker you’ll be able to look at failure for what it is…a teacher. You fall off your bike and you know it’s not the end of the world so you get back on. You get laid off from a job and find another so now you know that losing a job isn’t a life sentence. Leadership. Personally I want to work for someone who’s failed…at least a few times. I’m much more willing to march into battle behind a battle-tested leader than someone who is entering their first rodeo. Leaders who have lived the highs and lows are typically more stable offering a steady hand in times of stress as they’ve seen it before and know they can navigate through it. While it may sound odd to say, failure is one of the biggest ingredients to building confidence. The more you know you’re capable of handling the more confident you will be in yourself. So rethink your opinion of failure. It really is your friend if you let it be. The Secret to Leading a National Sales Team to Success? Communication. Vince Lombardi said, “Coaches who can outline a play on a blackboard are a dime a dozen. The ones who win get inside their player and motivate.” This insight from Coach Lombardi speaks to the necessity for all leaders to understand their players and instill confidence while inspiring a desire for to achieve greatness. Running a national sales organization is difficult. There are numerous challenges that come into play that every leader must deal with on a regular basis. Cultural differences, time zones, and competition are just a few of the most pressing items that every sales leader encounters. While there are many critical characteristics that make up a great national sales leader one stands above the rest…communication. Communication is both art and science. At its most effective level communication is a two-way street. A give and take. A back and forth. It requires research, listening, understanding and patience. Good communicators know what to say. Great communicators know how to say it and when. The right message delivered at the wrong time, in the wrong venue, or with the wrong tone can be just as disastrous as delivering the wrong message. Great leaders know their people. They understand what drives them. What makes them tick. Because of their deep insight into their people they are able to communicate at a higher level than those leaders who don’t take the time to get to know their people. Educate yourself in your area of expertise. It always amazes me how some folks believe that because they’ve been “in the business” for 10, 15, or 20 plus years they just know it all. Their arrogance has misled them providing a false sense of security. Get to know your team. Really get to know them. Spend one-on-one time with them to understand who they are, what’s important to them, where they want to go, and when they’d like to get there. Listen to them and be sure to focus all your attention on them. We’ve all had those meetings where the person we’re talking to has “wandering eyes” and you just know they’re not hearing you. Practice. Use a mirror. Even after more than 25 years of building and leading large teams I still practice my message in front of a mirror. Facial expressions are just as important as your message. If the two appear disconnected your credibility goes out the window. Show empathy. As the saying goes, “people don’t care how much you know until they know how much you care.” Empathy can only be developed when you take a genuine interest in helping others. Do it often. The more you communicate with the right message the more transparent you become. After all that’s what people want…transparency. The ability to know what to expect without surprises is what builds credibility. Be clear. Say what you mean. Minimize the buzz words, big words, and impressive phrases. No one cares how smart you sound. They’re only interested in whether what you do can help them meet their needs. Give it a shot and let me know how it works!